Most people think that accounting and bookkeeping are the same thing. They are related, but not the same, much like the relationship between sales and marketing. In many businesses, bookkeeping and accounting are combined or never distinguished. 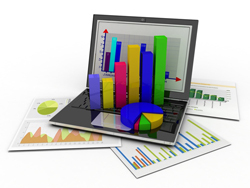 Bookkeeping is the process of recording, classifying, tracking and monitoring financial transactions. In bookkeeping, the goal is to record and summarize financial transactions and arrange them into a simple easy to use form. Accounting, on the other hand, involves analyzing, recording, summarizing, reporting, reviewing, and interpreting financial information. The information used by the accounting staff comes from the data provided to them from bookkeepers. Increased productivity & better efficiency lead to higher profits!